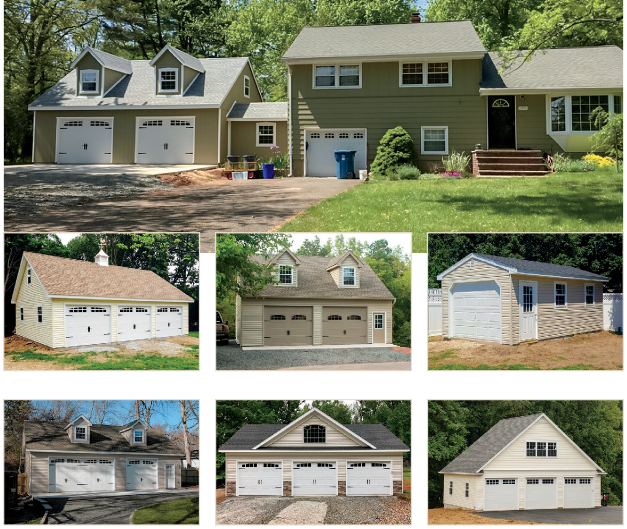 We are able to match your existing color & architecture ! 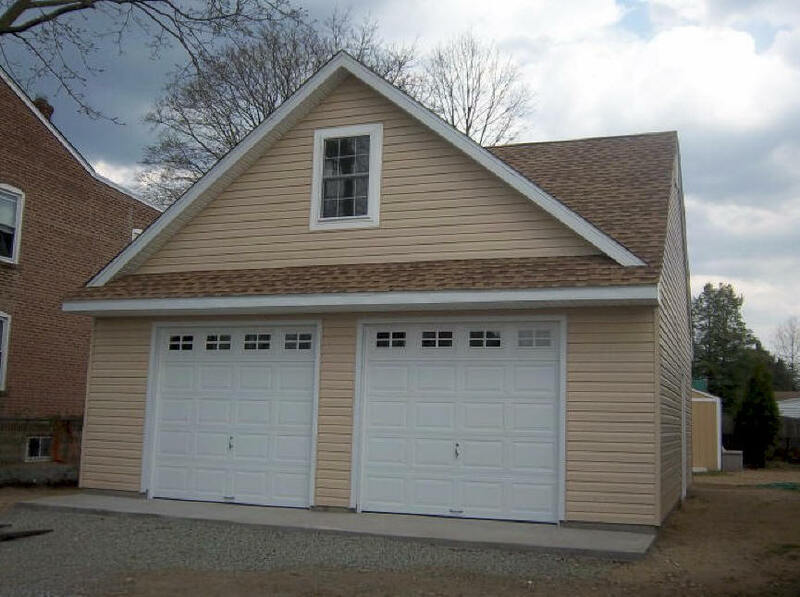 12×20 Garage pitch with cedar impressions siding . Custom built 3 car garages with attic packages . 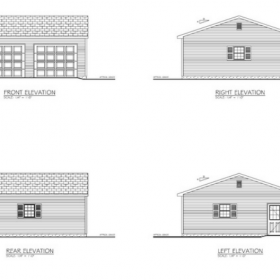 Where Do The Garages Start Out ? Do you need blueprints ? 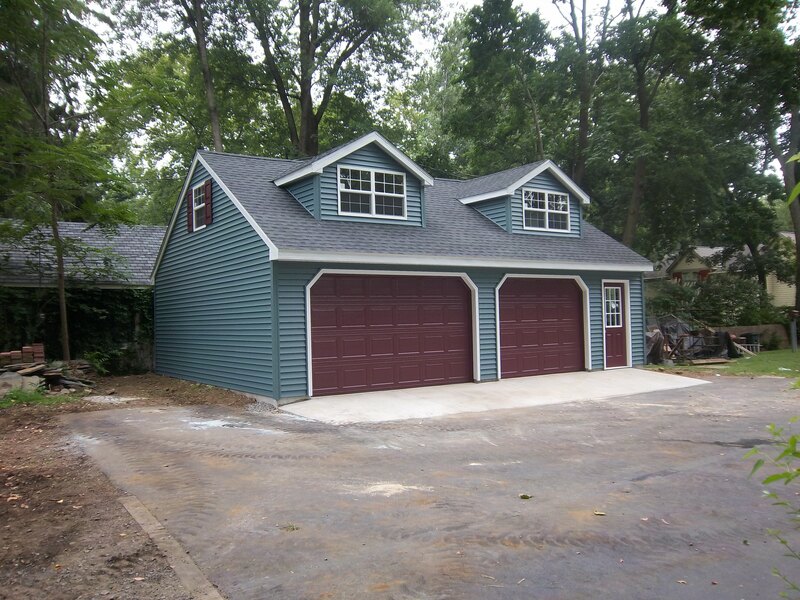 All garages start out as an engineered stamped blueprint. The blueprints will first have to be approved by your local building inspector. Do you need permits to start ? Once approved, the town, county or city in which you live will issue a building permit. 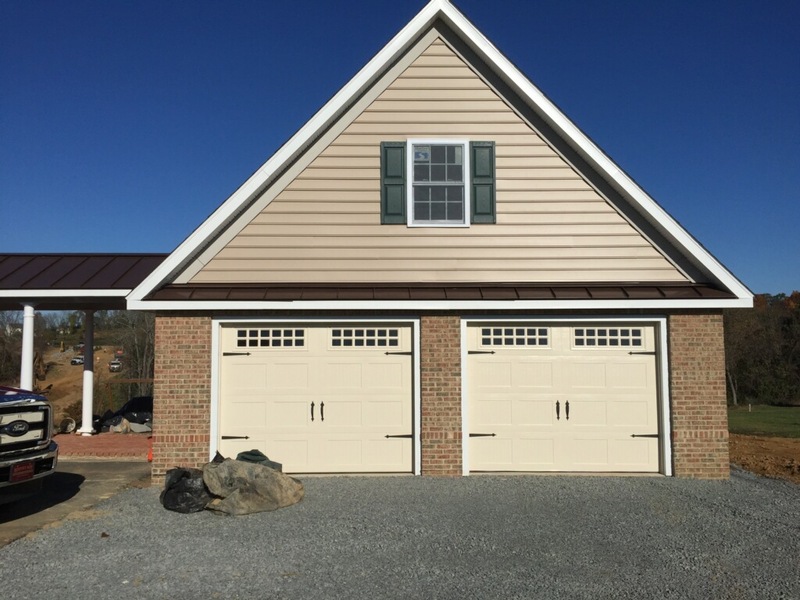 What is included in a standard garage ? 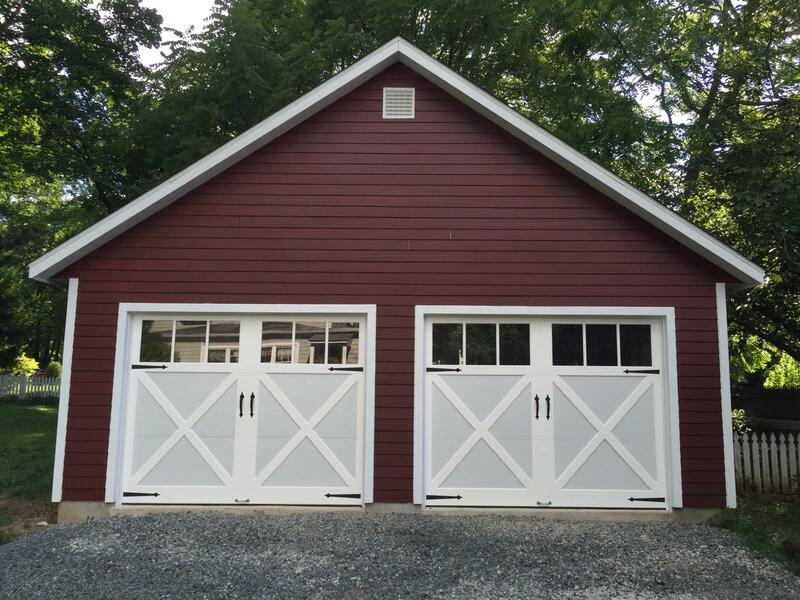 Our standard Amish Built garage includes (3) double pane, insulated glass windows with a 6-over -6 lite grid in-between the glass panes (1)- fiberglass, insulated, raised panel entry door with a 9-lite glass and (2)raised panel garage doors or (1) garage door (your choice). Our standard siding is a double Dutch Lap vinyl siding we use GAF-Timberline, high definition, lifetime architectural shingles. Our standard engineer roof truss starts with a 4/12 pitch. Window and door locations are your choice as is roof ridge direction with either the gable facing forward or the eave side facing forward. What does a standard blueprint look like ?